What follows is an interesting story from the August 8, 1902 edition of The Maine Woods announcing the soon to be completed extension beyond Bemis of the Rumford falls and Rangeley Lakes railroad. 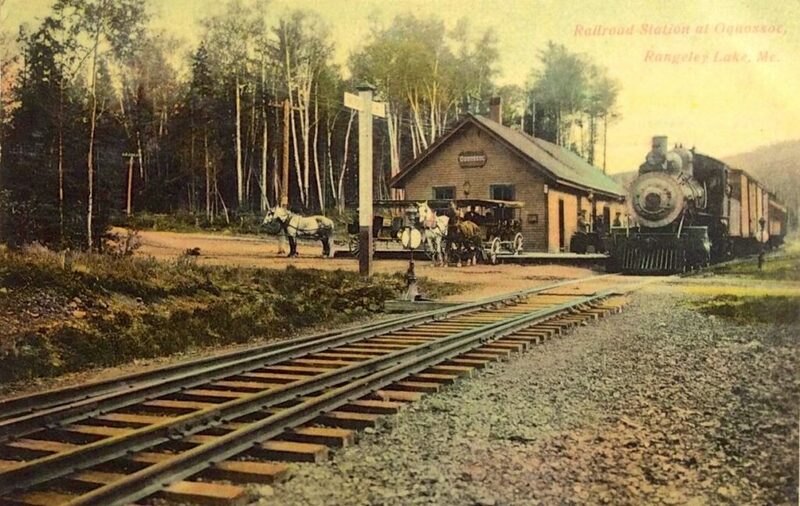 The new section of track extended the line into Oquossoc and on up to Kennebago to better serve the growing summer hotel business and to access more timber for the mill in Rumford. 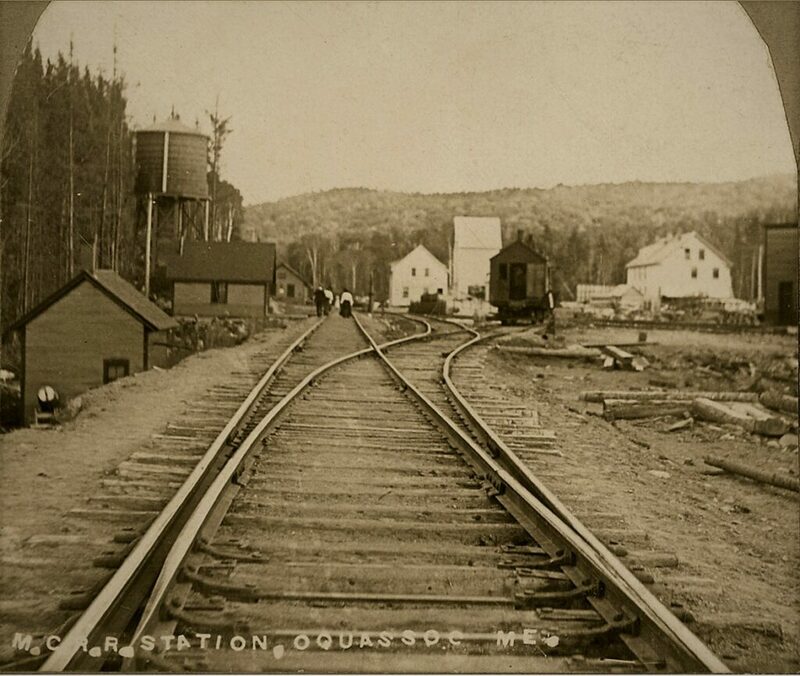 The “new” Oquossoc Station mentioned was located about where the Outdoor Heritage Museum’s parking lot is today. This was really a big deal for the region and would equate with an interstate highway being constructed into the region today (Heaven forbid). The diet of the migrant workforce and their attempts to supplement it with fish and wildlife is tactfully addressed. It seems the warden was not convinced of their good intentions. This issue also featured a short article that shared that the logging spur, now South Shore Dr. (ever wonder why its so straight and level from Rte. 17?) was being extended into the back country from South Bog Brook. This section now makes up the Yellow Gate Rd. One can still find the end of this line up in the headwaters of the stream, off the Crosstown Rd. A few years back on a grouse hunt I came across some old bottles and 3 huge iron hoops that once held together the boards of the water tower used to refill the boilers on the steam engines. 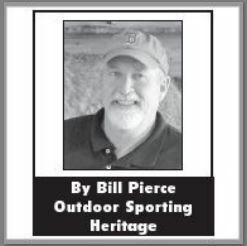 Enjoy this edition and be sure to get out and make some Rangeley History of your own! Rumford Falls & Rangeley Lakes Nearly Ready to Operate. The standard gauge road which will run to the foot of Rangeley lake and eventually beyond to Canada is about ready for trains to run to the lake connecting with the steamers on all of the lakes. For a long time, the work trains have been whistling among the mountains as the laborers graded and finished the road and the novelty of seeing a train here is gradually wearing away. Already freight has been hauled here for Mr. L. E. Bowley of the Mountain View House and many people are daily riding on the flat cars that are working in this section. It has become quite a fad with guests of the hotels around here to go down for a ride on the cars. There is not a railroad in the country where one gets a greater variety of scenery or grander views as they wind around the lakes and over the mountains. This summer the road will be completed but little beyond Kennebago Farm, making it about twelve miles, long, nine miles from Bemis to the lakes. A fine, large, station is to be built at the foot of Rangeley lake. The ground is already being prepared and the building will soon be under construction. A suitable name for this station is rather a hard thing to find. Mary have suggested “Oquossoc”, and probably this will be its name, perhaps “South Rangeley”. About seventy-five Italians are working on the road now and their camps are scattered along the line. The lives of these men are peculiar and uneventful. They work along from day to day without any change or any prospect of one. Their food consists principally of bread, macaroni and beer. Without beer they cannot relish the best of food. With them anything that lives in the woods or swims in the lake is eatable, and many are the squirrels and rabbits that find their way to the kettle. The fish commonly known as chubs are caught and eaten, together with what trout and salmon they can capture. Everyone seems to have great respect for the law and is very careful not to get on any streams that are closed. Probably the presence of Warden Estey among them nearly every day is an important means of keeping their regard for the law up to the standard. Passenger trains are expected to run, commencing Monday August 11.